Alex DePue with a Glasser Carbon Composite Violin at the launch of the Arts Games 2016 in Rio. 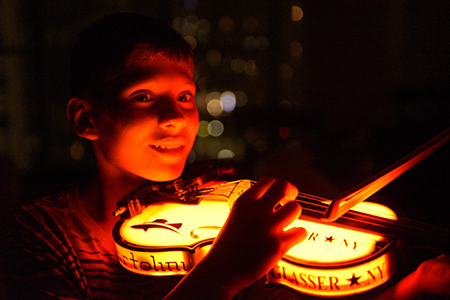 Glasser Composite Violin, customized for the launch of the Art Games. Glasser Carbon Composite violins are revolutionary new instruments. Glasser Bows has long been a world leader in developing advanced products with the use of composite materials. Glasser Carbon Composite instruments are the latest development. Built to last, they look and sound great. Glasser's patent pending design makes for an instrument with a wonderful tonal quality with durability most instruments will never match. 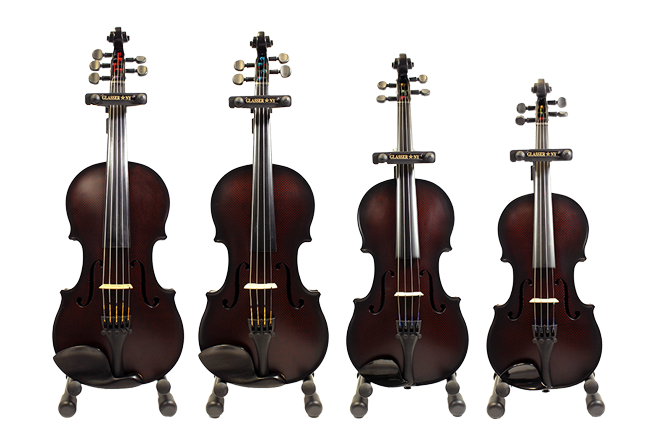 Currently available in Violin 5 string, 4/4, 3/4, and 1/2 sizes and Viola 12",13", 14", 15", 15.5", 16" and 16.5".